Purchasing a home and property investment in Turkey is generally a straight forward process provided you follow certain guidelines and do not cut corners. Please rest assured that we, as Place Overseas, are with you through every step of the process, ensuring a smooth purchase transaction. There is an established foreign national property purchase law in Turkey that underlines the principles applicable to foreign nationals buying Turkish real estate. 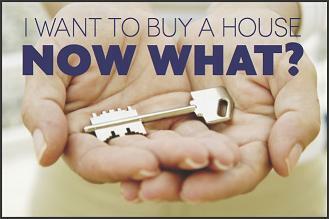 The law is designed in such a way to ensure maximum protection for buyers. We shall guide you through this framework with the help of our consultants in London, UK and local offices in Turkey. The following is Place Overseas' recommended process for foreign nationals purchasing land and property in Turkey - tried and tested in over 1,000 transactions since 2003. Prior to booking your property viewings or inspection trip to Turkey, we will have short-listed a healthy selection of suitable homes in line with your dreams and budget. During your viewing trip, our regional offices in Turkey will show you a wide range of properties so as to ensure you can compare & contrast all of your possibilities and make an informed decision. Following your final decision, we shall make an appointment for you to meet our recommended solicitors. We shall provide you with a list of qualified lawyers, who are registered with the Turkish bar association. providing power of attorney to your chosen solicitor. The solicitor will then draw up the sales agreement for your new home in Turkey ensuring maximum legal protection for you, as the buyer, and in line with the terms, payment schedule and conditions agreed to with the seller/developer. 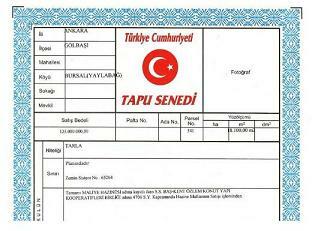 Please request a free legal pack from us in order to review Services Rendered by Our Recommended Solicitors in Turkey. Your initial holding deposit to secure your home (usually GBP 1,000) will be paid at this stage to reserve your property and freeze its price. This is essential due to the fact that property prices in Turkey are constantly increasing and there is indeed high demand for the exclusive properties that we will be showing you. Solicitors fee and our fee (3%) for services rendered in the search and acquisition of your property is payable following your return to your home country. The solicitor will then arrange for all the purchase paper work to be sent to the title deed office for the transfer of the title deed of the property into your name. This usually takes several weeks following the completion of your property. The solicitor will also ensure that the necessary and required military checks are completed so that the title can be registered to your name. The military check is only to determine that the area the property is situated is not within a military zone, where foreign ownership is not allowed. This generally takes approximately 4 weeks. We advise our clients to give power of attorney to the solicitor in order to facilitate the procedure; military checks, release of title deeds from the title deeds office and registration of the title deed at the notary office. Please note that giving power of attorney to the solicitor avoids you having to travel to Turkey several times within a matter of few weeks whilst your purchase process continues. Please also note that giving a solicitor power of attorney does not give us or the solicitor any claim over your property, it will be your name and picture on the title deeds. A payment plan for your property in Turkey is usually drawn up at the time of the initial sales agreement as mentioned above. For off-plan properties, your payments may be staggered over 6-12 months (usually 20 - 30% is paid upfront as the initial deposit) and for resale properties, full payment is usually due within 3 months of the sales agreement date. Your solicitor will inform you once the title deeds of your property have been authorised. This is usually when your final balance of payments is payable together with the buyers tax (4% stamp duty) and the water and electricity connection fee. Your solicitor will then arrange for the new title of your home to be registered with the local council office (for property tax purposes). Are mortgages available for Turkish properties? What are the costs of purchasing property in Turkey? On average cost of buying property in Turkey are significantly less (in relation to the purchase price of the unit) than Spain, France, Portugal and Italy. The following illustrates one-off costs of purchasing in Turkey relative to an example property with purchase price GBP 100,000. Total purchase cost of the property amounts to approximately GBP 9,000. This is 9% on top of the purchase price of your property. However, due to the fact that the purchase tax is generally paid on a value equivalent to 60% of the contract price, eventual costs are around 7%. Quality furnishing of your new home in Turkey can be budgeted at approximately 5% of the property value. GBP 60 annual council tax. This is usually paid in two installments (May and November). For detached villas, costs tend to vary from region to region, however, a luxury detached house with its private pool could cost around GBP 1,300 per annum to keep in top condition.